Favorite childhood memories for most of us are those when we went for a vacation with our family. It is the best way to spend some quality-time with your loved ones, away from hectic schedule of our life. The world houses several such destinations that are ideal for a family vacation consisting of special family resorts and hotels and offering numerous activities that a family can indulge in together. A strikingly lovely tropical country, Sri Lanka, lies southwards of India, looking like a drop of tear falling into the mighty Indian Ocean. This paradise-like Island has a lot to offer when it comes to planning a family vacation here. An enthralling ancient history, amazing natural setting, golden sandy beaches, reserves with exotic wildlife, remarkable mountain backdrop, rich culture, green valleys, lovely waterfalls, interesting outdoor activities like canoeing and catamaran, superb attractions, sprawling tea plantations- all make Sri Lanka a must-visit destination for a family holiday. Get up, close and personal with colorful birds, elephants and turtles. From the sub-tropical forests, private sandy bays, geothermal marvels in the northern side to the snow-clad mountains and mighty glaciers in the southern region, New Zealand offers magically diverse landscape features. Varied and exotic wildlife, thrilling adventure activities and natural scenery are going to enchant you completely. Your kids are simply going to lovev the locations of shooting of popular Hollywood movies like The Hobbit, The Lord of the Rings and The Chronicles of Narnia. There are a number of theme parks, museums and wildlife reserves here. You and your family can also partake in adventure activities like rafting, bungee-jumping, skiing, kayaking and zorbing. 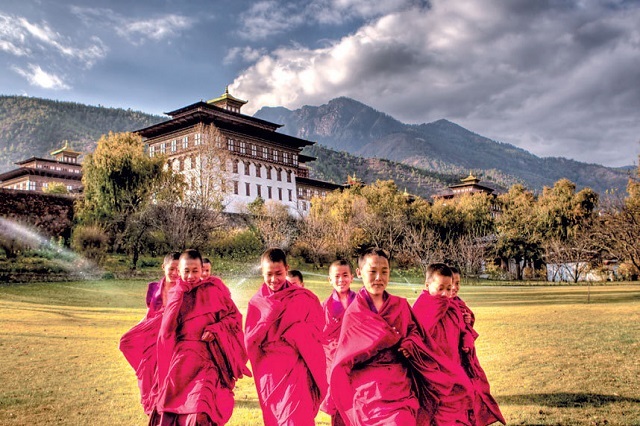 Bhutan is a wonderful place to have a vacation with your family as it has activities to keep a traveler of every age-group completely engaged. Enjoy a meeting with a Bhutanese family and relish their local food. There is so much to visit too such as Simtokha Dzong and Changangkha Lhakhang in Thimpu, and Drukgyal Dzong and Taktsang Monastery in Paro. Treat your eyes to the lovely views of Mt Everest and Mt .Kanchenjunga when you are in Thimpu. If you all are adventure buffs, there are trekking opportunities for you, combined with camping and wildlife viewing. Go mountain biking and exploring the remote villages and get drenched with water during rafting in Bhutan. A visit to Bhutan with family is a cultural delight too, a superb mix of relaxation and adventure. Delhi, an amalgam of a lot many things, is simply a delight for vacationing along with your family. 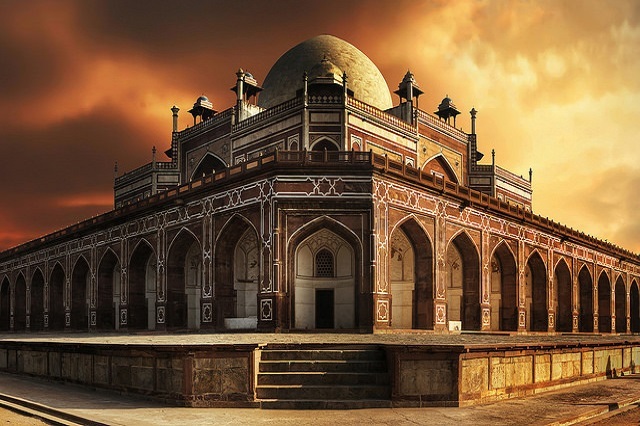 The capital city of India, also referred to as the ‘City of the Djinns’, is a cultural delight, a shopper’s paradise, a party destination and home to numerous tourist attractions including historical and religious. Explore the historical and ancient monuments, get your hands on trendy stuff in the popular markets, visit the theme and water parks, savor world-popular street food, have fine-dining experiences at posh restaurant and seek lord’s blessings at the several places of worship. The night life too is quite amazing here. Do not miss the popular metro ride here with your family here. It has something for all kinds of tourists with varied likings. This city is quite absorbing. World-class museums, family-friendly attractions, historical sights, lovely unspoilt islands, storybook castles, superb beaches, varied wildlife, snow-capped mountain peaks, dense lush forests and the list of experiences in Europe continues if you are planning a vacation here. You will be spoilt for choice when it is the European continent as you have an option of more than 40 countries to pick from, each having a different attraction. While there are popular places like Italy, Switzerland, Austria, France, Spain, Portugal, London, Finland, Hungary, Germany, Ireland, Sweden, Netherlands, Belgium and Denmark, there are some less-travelled places too such as Sicily, Sardinia, Turkey and Croatia. Your visit here would be an unforgettable experience. A mish-mash of tasty local food, cultural extravaganzas, age-old Ayurveda, verdant Western Ghats, serene backwaters, wonderful beaches, expansive spice and tea plantations, never-ending tourist attractions and green environment, make Kerala state, the ‘God’s own Country’, the perfect destination for a family vacation. National Geographic Traveller has put it in the list of ‘50 Places of a Lifetime’. You and your family has a lot to do during your tour to Kerala. 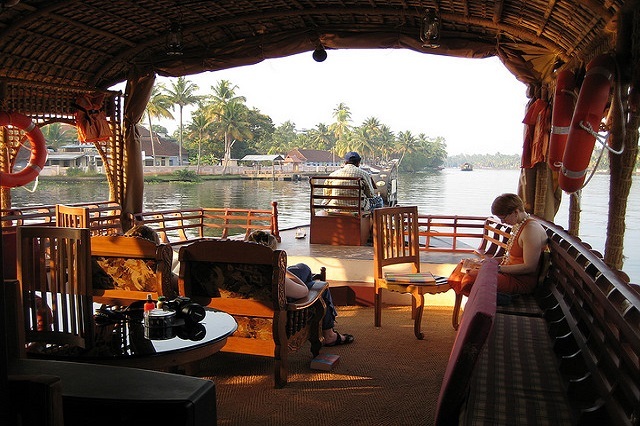 Cruise in a Kettuvallam (houseboat), enjoy bird watching, partake in wildlife viewing and other adventure activities, attend superb boat races and festive celebrations, explore the popular beaches, temples and other attractions, savor scrumptious food and so on. 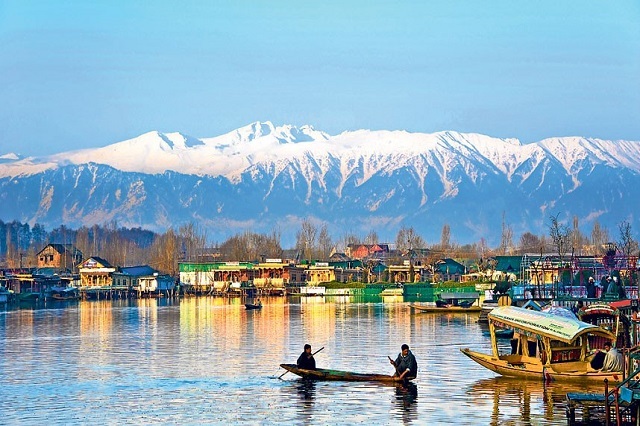 Blessed with matchless scenic beauty, termed with phrases like ‘Heaven on Earth’ and ‘Crown of India’, a visit to Kashmir will leave you simply enchanted. Along with the scenery, the memorable experiences also are endless. In Srinagar, go for a Shikara ride on the placid Dal Lake and visit the beautiful Mughal Gardens; In Gulmarg, do not miss the cable car ride up to Khilamgar and indulge in fun activities at snow-point. In Pahalgam, admire the lovely lush scenery while on the back of a pony and In Sonmarg, visit the perennial Thajiwas glacier. Do not forget to get your hands on some amazing wooden handicrafts and woolen clothes. 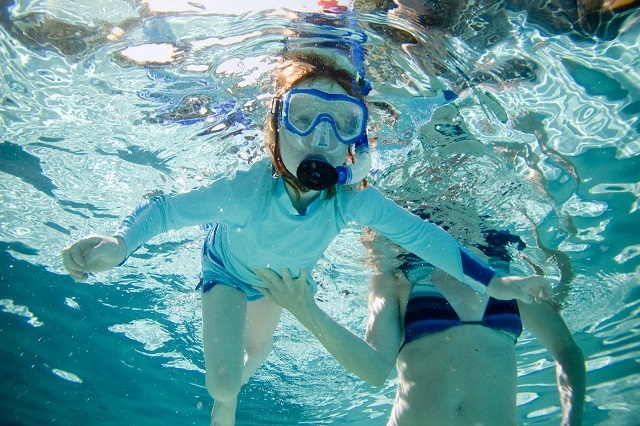 Some of the world’s best activities during a family holiday can be done in Dubai. There is so much to do with family. There are great theme parks like KidZania, adventurous water rides at Adventure Water Park, alluring shopping malls like the Dubai Mall, thrilling Arab adventures like dessert safaris and camel rides, beautiful white sandy beach beaches for leisure moments, exciting indoor ski slopes at Dubai Ice Rank, fun activities at Dubai Aquarium & Underwater Zoo, and luxury skyscrapers such as Burj Khalifa in Dubai. It is a quality destination that is visited by tourists from all around the globe. The food too is superb. Sightseeing, relaxation and quality-time with your loved ones are going to be a part of your memorable family vacation in Thailand. You have an assortment of activities to indulge in when you will be here. 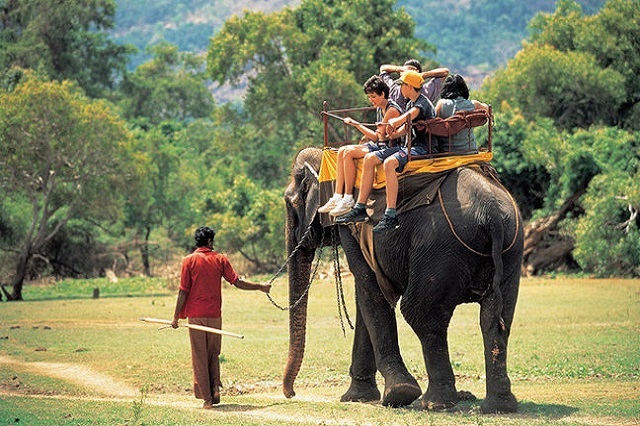 For kids, there are wildlife sanctuaries, theme parks, beaches, museums, jungle treks etc. families can enjoy the ideal settings of the stunning beaches at Ko Lipe, Phuket, Krabi, Ko Chang and Ko Samet, away from hectic cities. Orgasmic food, water sports and lovely coastline would mesmerize you. The nightlife of Chiang Mai, Pattaya, Phuket and Bangkok would be thrilling. 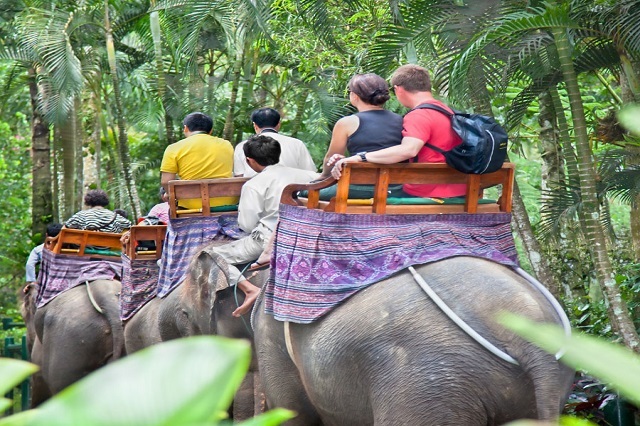 Enjoy wildlife viewing while sitting on an elephant’s back. The culture, customs, royalty and history would be a delight. You can also visit during celebration of festivals like Loi Krathong, Moneky Buffet Festival and Sat Thai. Shopping here is a delight too as you can get your hands on fashionable clothes, pearls, handicrafts, artificial flowers and Thai silk. If you and your family love the combination of a beach vacation, away from the regular touristy hustle-bustle, all of you are simply going to adore Andaman Islands. A lovely cluster of islands, located in the Bay of Bengal, they are visited by tourists for their rich marine life, stunning coral reefs, scenic beauty and serenity that is spread all around. 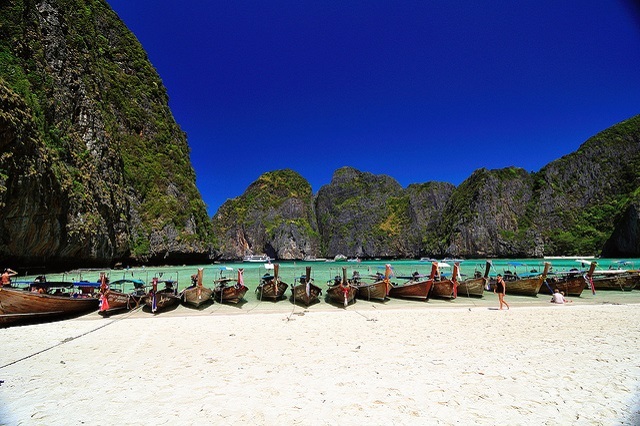 There are a lot of activities that one can indulge in here such as exploring marine life in a boat with glass bottom, partaking in water sports like snorkeling and scuba diving, meeting the wildlife in the national parks and exploring the popular monuments and other man-made attractions. 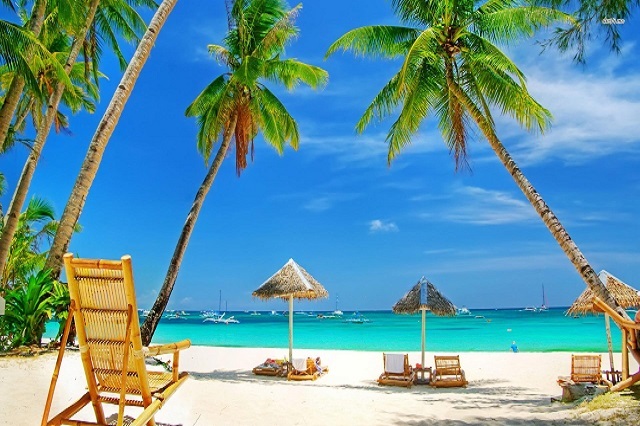 Andaman Islands boasts of breathtakingly beautiful Islands and beaches such as Havelock Island, Ross Island, Elephant Beach and Radhanagar beach that are famous all around. Best known for its adventure opportunities and mesmerizing scenery, the erstwhile Himalayan Kingdom is an alluring barren land that has a rugged landscape and snow-clad peaks. 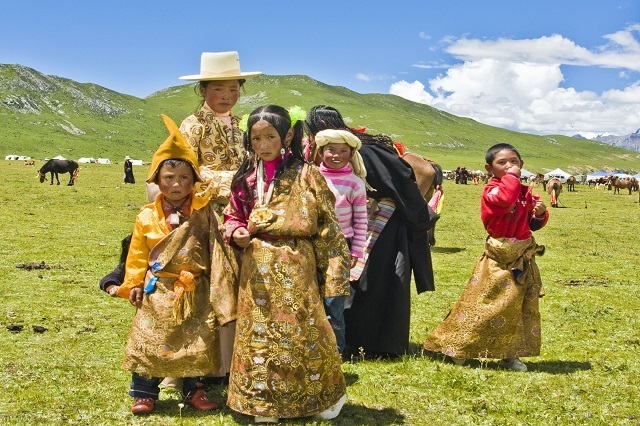 There are a number of reasons that make Ladakh a famous family destination all around the globe. Stunning sights, high-altitude glacial lakes and motorable passes, lip-smacking local cuisine, ancient Buddhist monasteries, safari ride on double-humped camels and shopping are memorable experiences here. And, if you are a family that loves adventure, there is so much for you. Partake in hiking, trekking, river rafting, mountain biking etc. treat your eyes to the mesmerizing nature. A visit during monastery fair and festivals would be memorable. 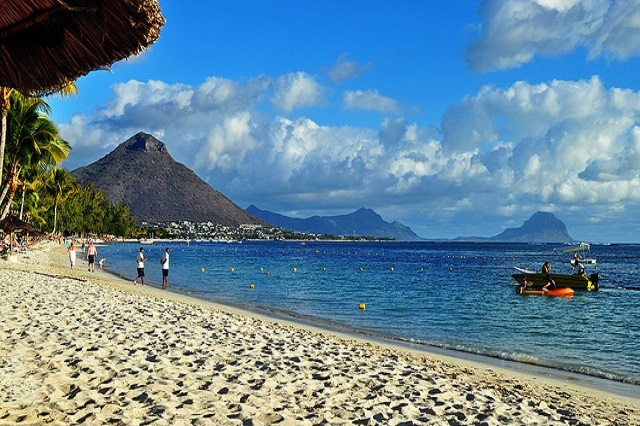 One of the most family-friendly islands in the world, Mauritius looks like a paradise with its crystal-clear waters, clean white-sandy beaches, crystal lagoons, emerald peaks, stunning surroundings, beautiful villages and green rainforest. Try your hand at adventure activities like scuba diving, trekking through the forest and snorkeling, Opting for a luxury cruise with your family to explore the vastness of the Indian Ocean would be a good idea. Natural wonders such as volcanic interiors, rainforests, coral reefs, islands and beaches are matchless and all worth exploring along with your loved-ones. You can go on a road trip to the nearby villages and interact with the locals. Grand Baie, Roche Zozo, Flic en Flac and Whale Rock are some of the must-visit attractions here. Shopping here is not to be missed. 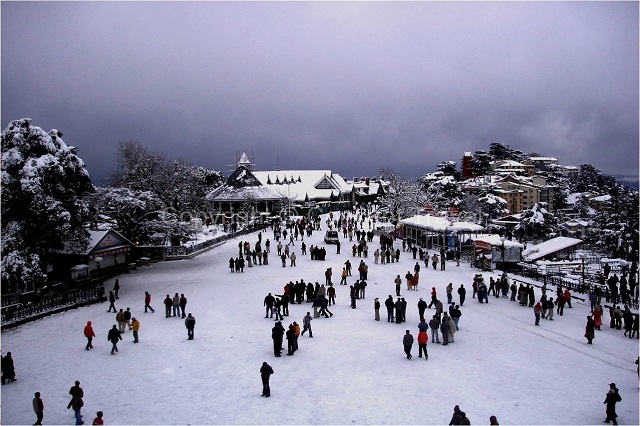 One of the best destinations in India, Himachal Pradesh surely has a lot to offer to you if you thinking for a family holiday. This north Indian state has numerous hill stations that you can explore along with your family while partaking in adventure activities, exploring the green locales, enjoying the superb weather, visiting popular attractions, eating tasty food and more. Ride a toy train and enjoy leisure walks at the Mall Road of erstwhile summer capital of British-Shimla; satisfy your adventurous soul with activities like river rafting, zip lining, para gliding and zorbing in Manali and Solang Valley; enjoy snow-activities at Rohtang Pass; and feel close to the nature at Chamba, Dharamsala, Dalhousie and Kasauli. Crystal clear warm seas, white sandy blissful beaches, lush palm trees, exotic marine life, a safe environment, water sports and a plethora of holiday activities, every year, allure family vacationers of Maldives. A superb destination to explore life under the sea waters, Maldives is known for its picture-perfect scenic beauty. Located in a far-glug location amid the Indian Ocean, made-up of 26 atolls, this place has much to offer for your and your family’s indulgence. The smallest country in Asia, it offers endless water sports activities such as wind surfing, swimming, snorkeling, scuba diving, kite boarding, water skiing and more. 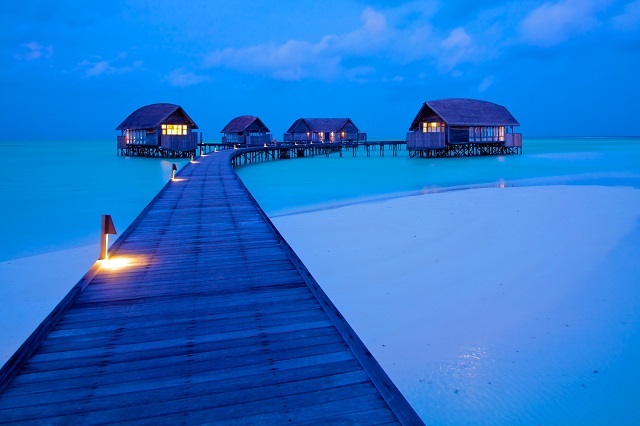 Maldives is also known for its world-class exotic resorts. Do not miss exploring the underwater life, shopping at the streets and enjoy memorable sunset views here. The local food would be orgasmic. Island hopping would be a great activity too. A Goan vacation with your family is something that you must not miss. And, if you visit Goa once, you will wish to come here again and again. The laid-back Goa state receives a crazy number of leisure-seekers from all around the globe. Dotted with bustling street markets, fascinating beaches, beautiful churches, great clubs and more, Goa is the place to be. The place has something for all kinds of visitors- an adventure enthusiast, a wanderer or a nature lover. The list of to-do things in Goa is pretty long- visiting the churches of old Goa, water sports like jet skiing and para sailing at the North Goa beaches, a serene leisure walk on South Goan beaches, a sunset cruise in River Mandovi, casino-visit in the casino-cruises in River Mandovi in Panjim, shopping at the flea markets, relishing local Goan delicacies, sightseeing, dolphin-viewing and so on. Hire a bike to explore the length and breadth of Goa at your own pace. A cultural tour, a religious trip, a historical journey- Gujarat state is all this and everything else, rolled into one. A visit to this place with diverse culture is a pure delight, clubbed with amazing cities, splendid temples, historical sites, pristine coastline and exotic wildlife. 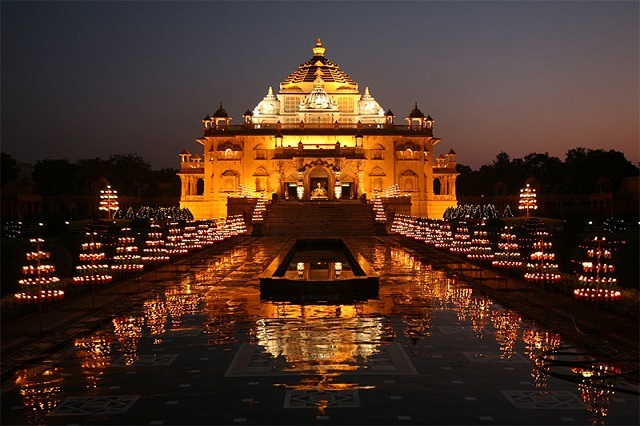 Visit popular religious sites such as Somnath temple, Dwarkadhish temple, Akshardham and Haji Pir Dargah in Kutch; explore ancient cities of Dholavira and Lothal; admire the magnificent Laxmi Vilas Palace in Vadodara, have a rendezvous with the mighty Asiatic Lion at Gir national park; indulge in fun activities at the hill town of Saputara and more. Famed as the ‘Land of Legends and Lions’, Gujarat is known for its handicrafts too. Get your hands on applique and path work, bead work, embroidery work and kalamkari items. Special local delicacies must not be missed. A visit during Navaratri and Rann Ustav would be unforgettable. There is a special Gandhi Circuit too that takes you to places and attractions, related to Mahatama Gandhi. A heady mish-mash of Island city-state of Singapore to the bustling capital of Kuala Lumpur, and from the pristine beaches of Penang and Langkawi and Penang to the exotic wildlife in the tropical rainforests of Borneo, Malaysia boasts of being of the most amazing family-friendly holiday destination. Friendly locals, an amalgam of cultures, heritage sites, high-end shopping experiences, exotic wildlife, lovely beaches and an array of activities for all age-groups allure families to this stunning place. Peaceful Malaysia has several destinations and attractions like parks, beaches, islands and superb cities like George Town and Kuala Lumpur that are worth-visiting. A lot of Chinese influence can also be seen here, especially during the celebration of the Chinese New year. The local cuisine is lip-smacking. If you love shopping, Penang, Kuala Lumpur and Langkawi has so much for you. You can also get your hands on handicrafts at Malacca and collects them as souvenirs. Kuala Lumpur is for high-end shoppers. 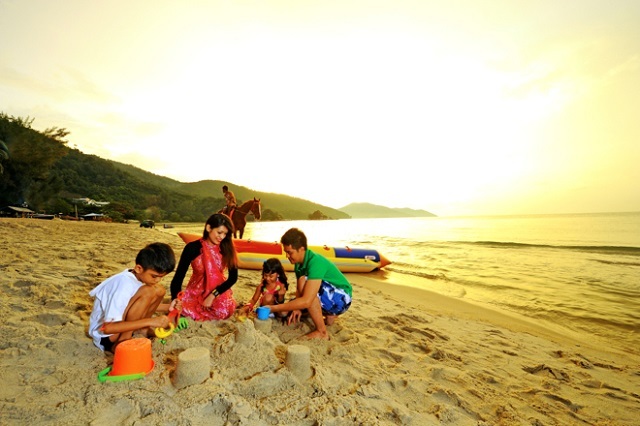 Langkawi boasts of beautiful beaches, heritage sites, kid’s attractions and natural wonders. The twin islands of Borneo and Penang are popular for wonderful coral reefs and national parks. 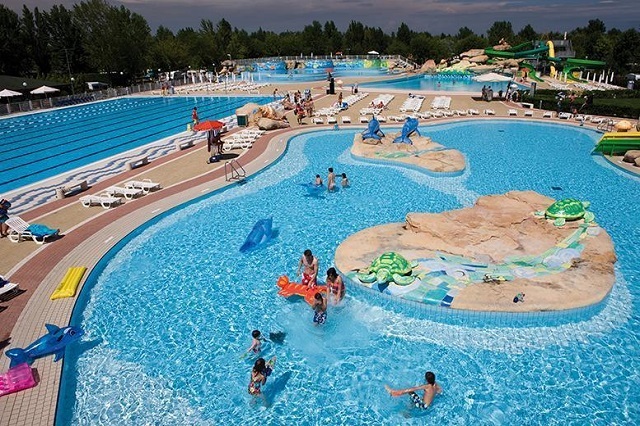 Have a fun-filled family vacation here. 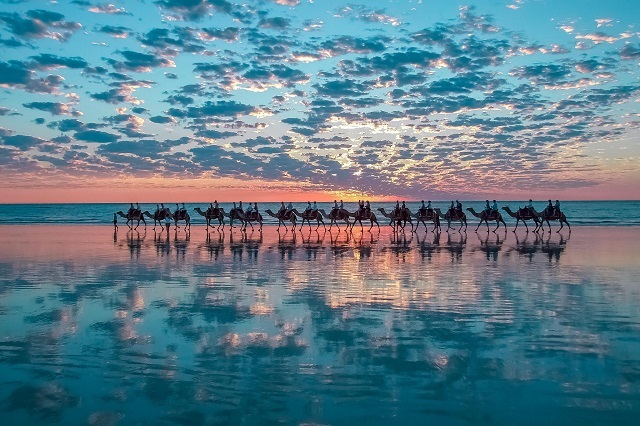 A great family holiday destination, Australia is a mix of some amazing activities and experiences. There is snorkeling at the Great Barrier Reef, memorable sunrise over Ulluru rocks, skiing at Koiosko National Park mountains, crocodile viewing at Broome crocodile park, dolphin feeding at Money Mia, swimming with the whale sharks at Gningaloo Reef, kangaroo and koala viewing, shopping in Sydney and Melbourne, water activities at Gold Coast, lip-smacking food and stay at swanky restaurants and hotels, visit to Rottnest Island, beach holiday at Patonda, snow viewing at Mt Hotham Victoria etc. Should we say more! If you are a family that loves adventure, being amid nature and being outside, then Nepal is just the perfect destination for you. Your kids can get to hear mountain adventure tales right from horse’s mouth that is in a Sherpa’s own words. He or she can also enjoy pot making along with local village pot makers. The mountain landscape scenery along with lush fields and tiny hamlets is absolutely mesmerizing. Religious sites like Lumbini, Pashupatinath temple, Boudnath, Swayambhunath temple and Kathmandu Durbar Square are a must-visit. 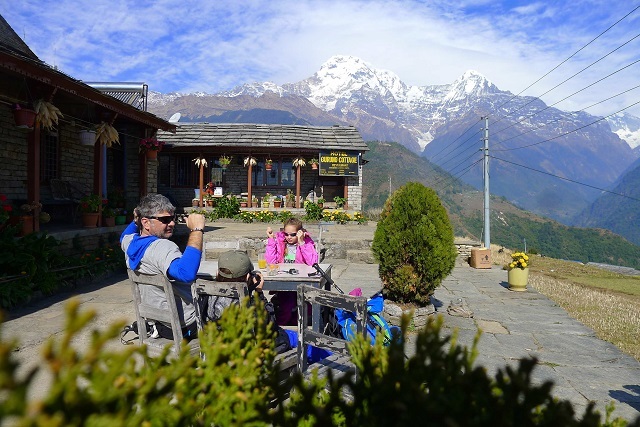 Nepal is also quite popular amidst trekking enthusiasts, be it beginners or professional trekkers. One of such trek routes is Langtang trek. Do not miss a rendezvous with the region’s wildlife at Chitwan National Park. You are going to Nepal’s serene surroundings and lush green environ. 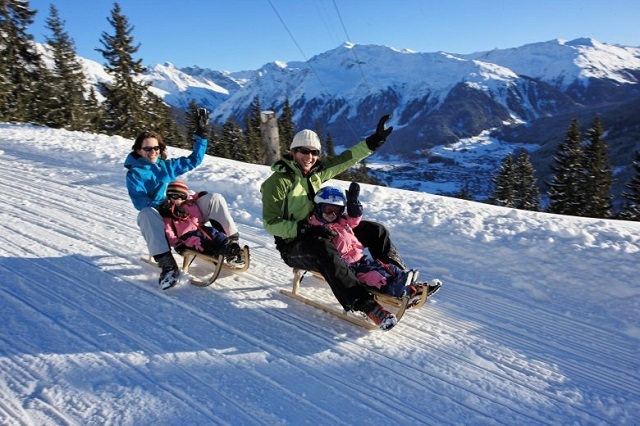 Boasting of stimulating outdoor activities, open lush meadows, several lakes and stunning Alpine landscape and snow-capped peaks, Switzerland is an ideal destination for a family vacation. The perfect mix of chilling-out and a high adrenaline pumping, Switzerland is one of the most sought-after destinations in Europe. All about seeing, doing and experiencing, this lovely country is about visiting villages, castles, lakes, archaeological sites, meadows and churches. 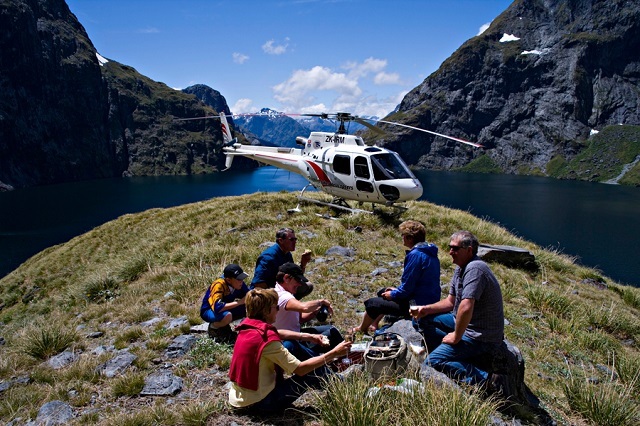 Explore the surroundings- on-foot, in a car, on-board mountain railways and riding cable cars. Skiing, biking and hiking are some of the activities that can be done here. Each of the 26 cantons of Switzerland has its own attraction, be it a man-made wonder or a natural sparkle. Some of the destinations that you must visit are Berne, Interlaken, Bellinzona, Zurich, St.Gallen, Lugano and Geneva for their historic and heritage sights, night clubs, castles, shopping experiences, art and craft and more. Offering an array of spectacular beaches and thrilling wildlife adventures along with much more, Indonesia is a superb family holiday destination. A vacation in Indonesia is full of several adventures, from catching a glimpse of the rare Sumatran Tiger, swimming along the volcanic island of Krakatoa, spotting Orangutans in the natural surroundings, seeing the mighty Komodo Dragons and having a sneak-peak into forgotten cultures of the eastern islands. Indonesia is a charmer for the visitors of all ages because of endless fun activities. Visit the magnificent temples in Java, enjoy volcano climbing and snorkeling along with the sea turtles or explore the pristine islands of Lombok and Bali with lovely golden beaches, visit the friendly villagers of the world’s third largest island of Kalimantan and so on. With so much to do, Indonesia can never be boring. Travel back in times of the Kings and Queen during your visit to the Royal state of Rajasthan and get a sneak-peak into the life of the royalty of the region. 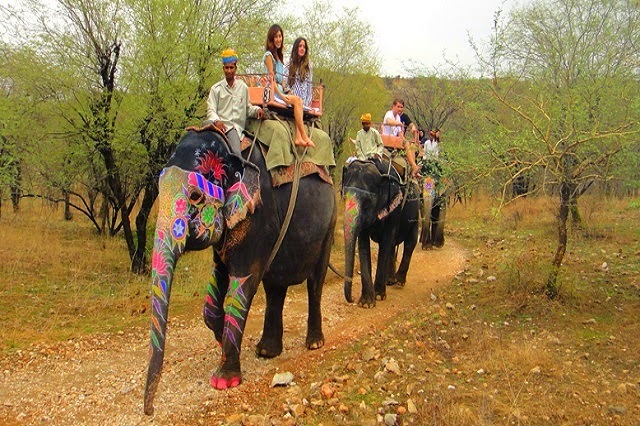 Stunning forts and palaces, celebrated destinations, camel safaris in the vast Thar Dessert, lip-smacking local delights, shopping at the colorful bazaars, attending vibrant festivals, visits to stunning old havelis, an elephant ride up to Amer fort’s entrance, a rendezvous with the big cat and much more can be done during your family vacation in Rajasthan. You are going to have the best of experiences. Your loved ones are going to love it here. Marvelous monasteries, spectacular high-altitude trekking routes, fabulous views of the highest mountain in the world- the Mount Everest, unique culture, extremely friendly people, lovely scenery and landscape, glistening rivers, Tibet is all this and more, making it a fantastic family destination. If you and your family are into adventure and outdoor activities, you can partake in hiking, camping and mountain climbing. The serenity and lush green environment helps you in complete rejuvenation of your tired senses. Tibet also holds religious importance for Hindus, Jains and Buddhist as it houses the holy mountain, called Mount Kailash. Lhasa is the place to get a sneak-peek into the old ancient Tibetan Buddhist culture and houses several monasteries and temples. Shigatse, Gyantse and Nam Tso Lake must also be visited. Your children can also enjoy horse riding. Located in the Tibet Autonomous Region, Amdo and Kham region would also be a delight and offer superb experiences. 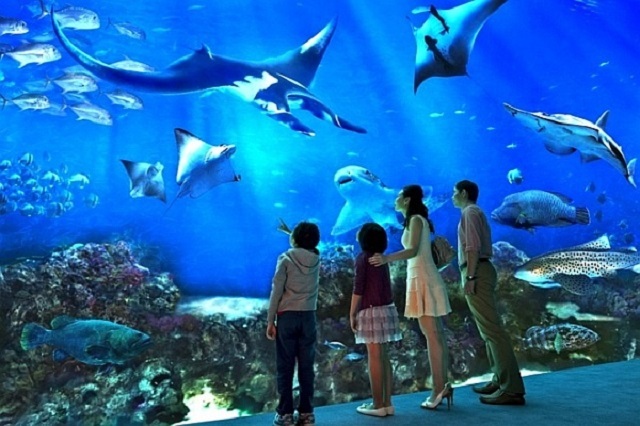 Singapore is one of those few places that have an array of activities for all likings and for all ages, making it the perfect holiday destination to visit with your family. There is so much to do and see, from entertainment, culture and art to recreational activities and natural beauty. A popular haunt of families from all around the globe, Singapore has several popular tourist attractions including Chinatown, Universal Studios, Sultan Mosque, Merlion Park, Singapore Flyer, Marina Bay Sand, Indian temple and Clarke and Boat Quays. Little India is equally popular amidst locals and tourists. A ride in the Cable Car would offer a panoramic view of the surroundings. If you have educational bent of mind, explore the several galleries and museums such as National Museum, Chinatown Heritage Centre and City Hall. Sentosa Island is not to be missed at any cost. Singapore Zoo, Jurong BirdPark, MacRitchie Nature Trail, Bukit Batok Nature Park and Botanic Garden are ideal for nature and wildlife lovers. Do not forget to indulge in shopping when in Singapore. The serene, pleasant, green and enchanting North-east region of India is slightly less explored and make up for a superb location for your family vacation. The experiences it has to offer are matchless. 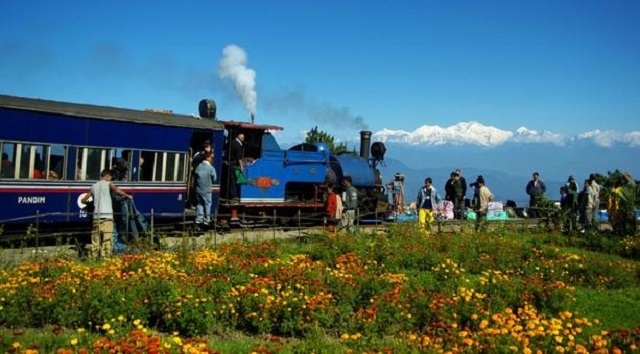 Your kids are going to love a ride in the Darjeeling Himalayan Railway’s ‘Toy Train’ and the sunrise from behind the Tiger Hill. Do not miss exploring the amazing Buddhist Monasteries. For adventure seekers, there is river rafting, trekking, hiking and more. Tsomgo Lake is a must visit. When in Gangtok, to do miss shopping at the London-style M.G. Road market. The scenery is going to enchant you. For wildlife viewing, you can visit Namdapha and Kaziranga National Park. This part of the country is also a place to have an insight into the tribes of India.